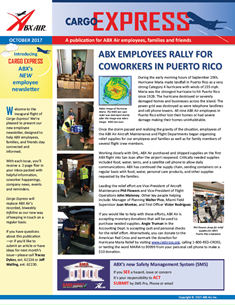 INTRODUCING CARGO EXPRESS, ABX Air's employee newsletter! 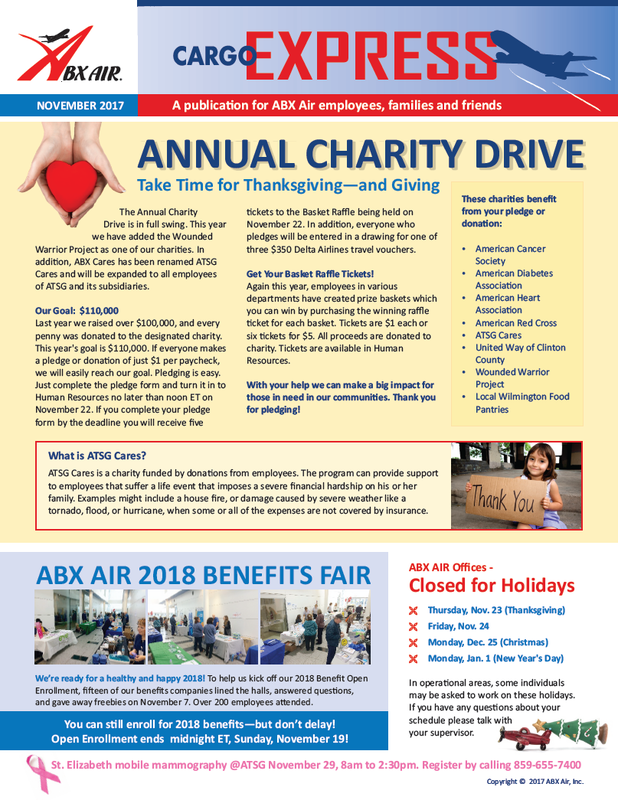 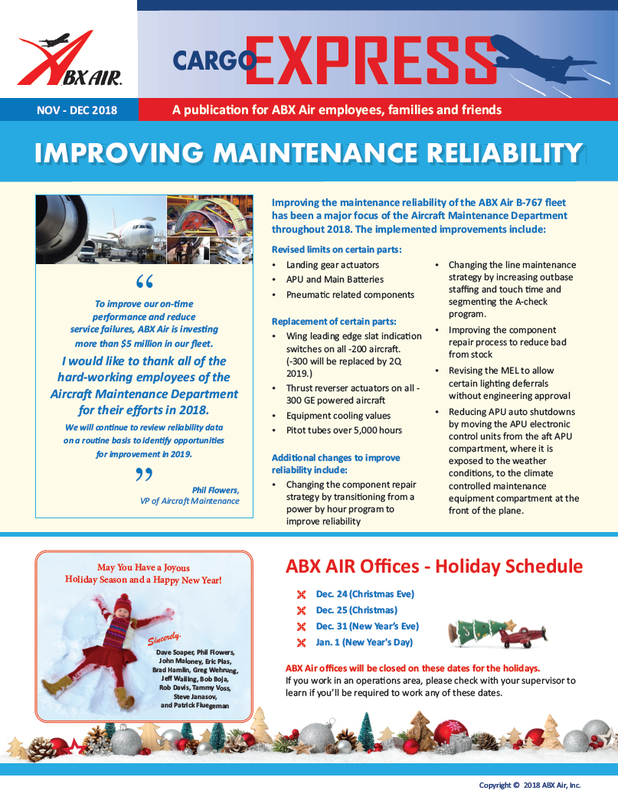 The ABX Air employee newsletter is designed to help ABX employees, families, and friends stay connected and informed. 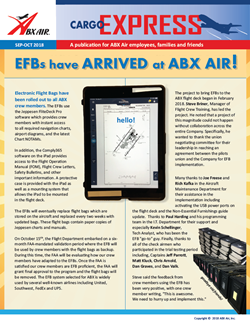 Cargo Express replaces ABX Air’s recorded, biweekly Infoline as our new way of keeping in touch on a regular basis. 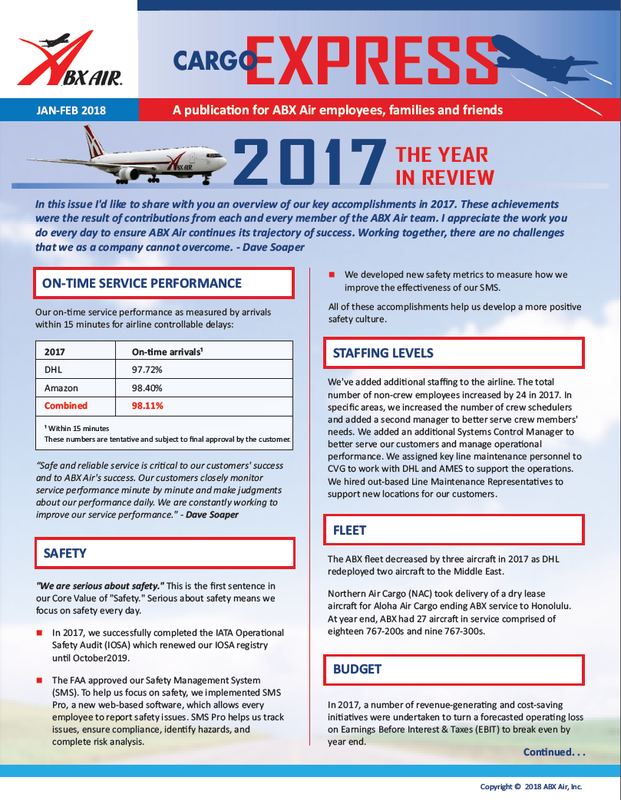 Click an image below to read or download the issue. 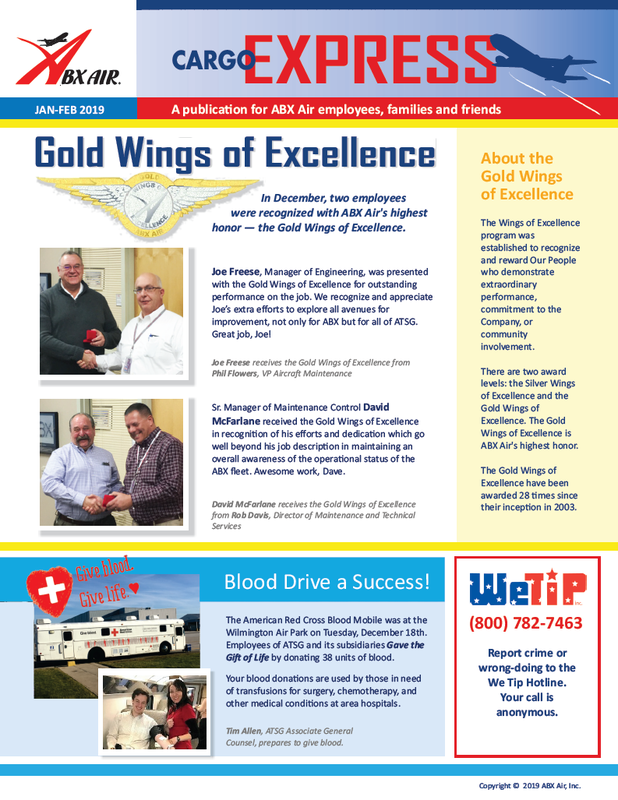 If you have questions about this publication, or if you'd like to submit an article or share ideas for next month's issue, please contact Tracey Dykes or Jeff Walling.